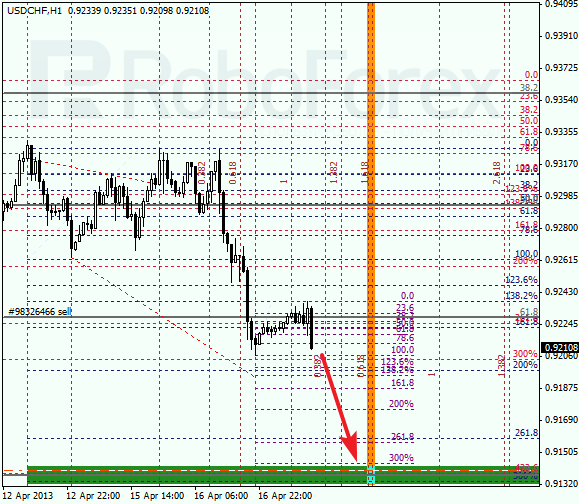 Yesterday Euro broke the level of 38.2% and continued the correction it had started earlier. Most likely, the pair will continue moving upwards to reach the level of 61.8%. Here there are several more fibo-levels, which make this target even more important. 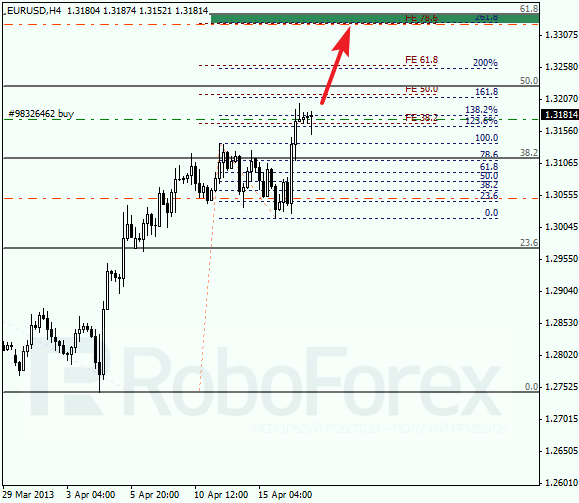 Analysis of temporary fibo-zones at the H1 chart indicates that the target levels may be reached during the day. During a local correction, I opened a short-term buy order. In case of Franc, the situation is quite opposite. The market is trying to break the level of 61.8%. If the bears succeed, the price will continue falling down towards the level of 78.6%. However, if the price rebounds from it, the pair will make a reverse. 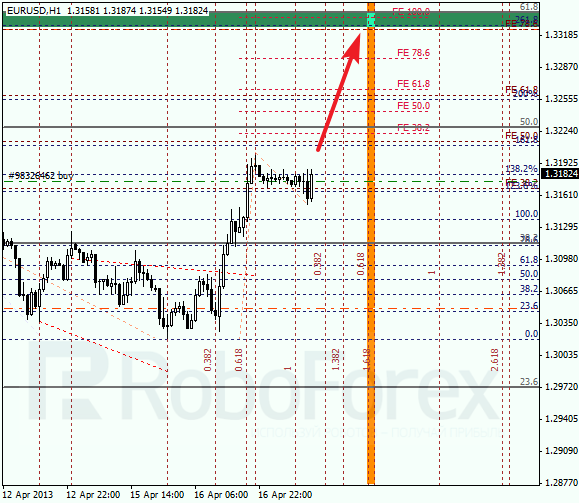 Analysis of temporary time zones at the H1 chart indicates that the market may reach predicted levels by Thursday. I’ll move the stop on my sell order into the black as soon as possible.